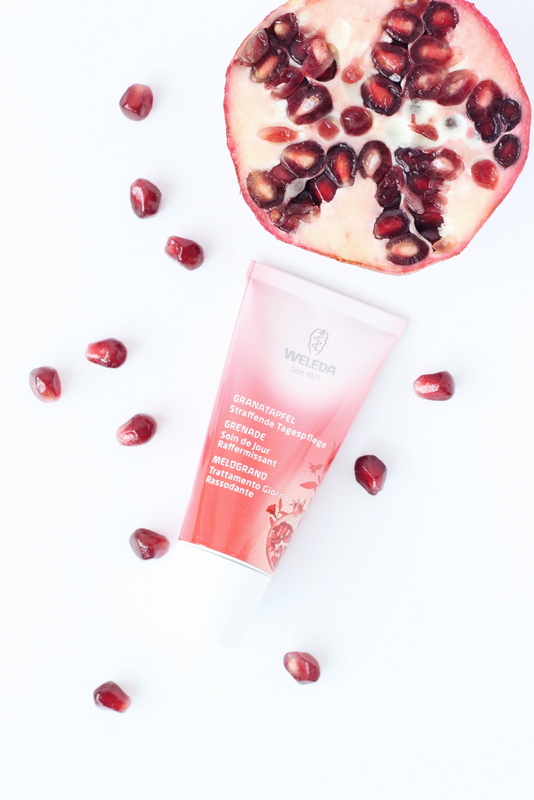 In today’s post, I want to introduce you to Weleda’s approach to working with plants: their lead plant philosophy and the pomegranate range specifically. As you will see, it is yet another reason why Weleda is a true leader in natural beauty and holistic health. Weleda has created its products ranges based on specific lead plants. With this philosophy Weleda aims to foster our understanding of the connection between plants and ourselves and reap the benefits of this connection for our own beauty and healing. There are sixteen lead plants: almond, arnica, birch, calendula, citrus, evening primrose, iris, lavender, millet, oat, pomegranate, rosemary, sea buckthorn, wheat, white mallow, and wild rose. The Weleda lead plant philosophy operates on an anthroposophical as well as a conventional scientific understanding of each plant. The plant is looked at from its unique connection to humans and specific benefits for each stage of human life. 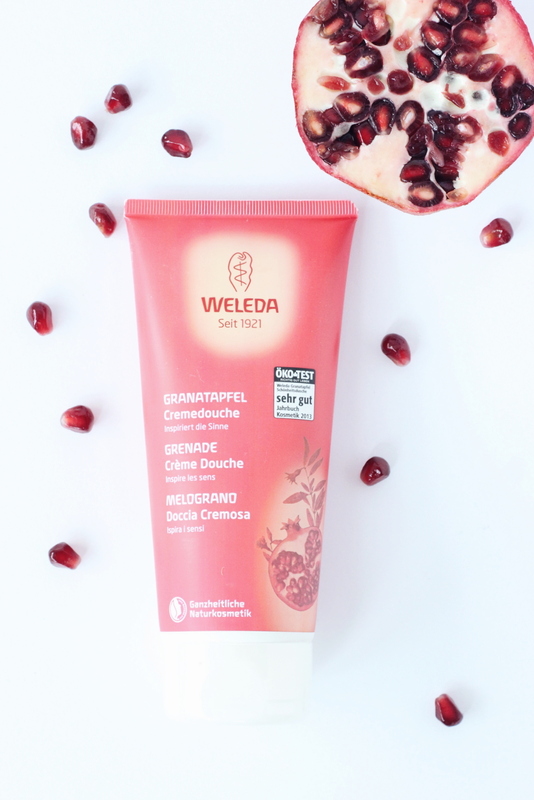 Whenever Weleda creates a product, then, it thinks about how to best serve the human with his or her specific need regarding skin and hair type. As a result, Weleda develops each product with the holistic understanding that it will affect the person as a whole, body, mind and spirit. Out of the many product ranges, I have chosen to highlight the pomegranate range because it was developed with my age group in mind. I am turning 40 next year! YES to that! The pomegranate range has been developed to serve this quite beautiful phase when as a person, we are looking to use our life experience we have accumulated and create the life we truly want. I couldn’t agree more with that assessment of where I am! I am now more than ever in my own power and am ready to step up to make my life the best it can be. So, even though this is an exciting time in a person’s life, the skin is slowing down regarding its cell renewal and is no longer dealing as well with oxidative stress. If you are over 35, I am sure you can attest to that. Looking towards the future with serenity is a definition of aging that I can truly get behind. Don’t we all long for a comforting sense of growing into our own mature self and letting go of so many of the often superficial worries that may have plagued us during our younger years? 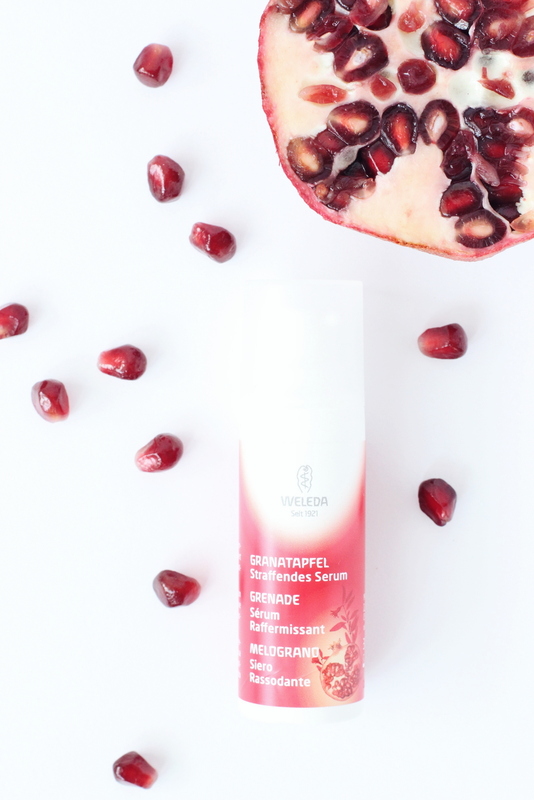 Pomegranate has long been regarded as a symbol of beauty, fertility, sensuality, and strength and apparently can reach long age with certain specimens being over 200 years old! The pomegranate range boasts a wide array of products. There is a Firming Day Cream, Firming Night Cream, Firming Serum as well as Firming Eye Cream. 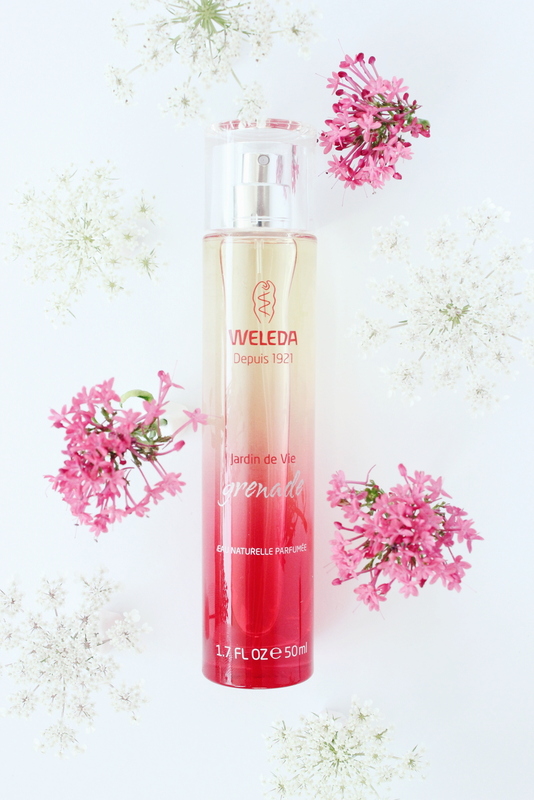 There is also a Creamy Body Wash and Regenerating Body Lotion, Regenerating Body Oil, several hand and nail products, as well as the Jardin de Vie Grenade, Weleda’s all-natural perfume. Another aspect that I find very appealing is the wealth of information on Weleda’s websites. They offer a lot of information on each lead plant and its benefits, showing some of the astonishing connection between the plant and our own human experience. I love the approach Weleda takes here in really putting the plant front and center and showing it the respect it deserves as the miracle worker it is. 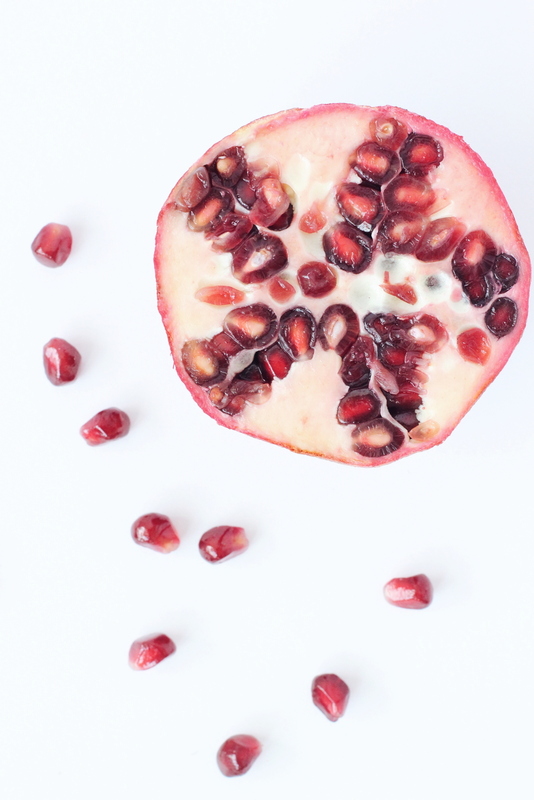 You can also get instructions for an easy face massage as well as useful information by natural beauty expert Lilith Schwertle on how to customize your pomegranate routine here. As I mentioned before, this Special Weleda Natural Beauty and Holistic Health Series is not meant to be a product review series. I have not used these products long enough to write a legitimate review and these are not sponsored posts. 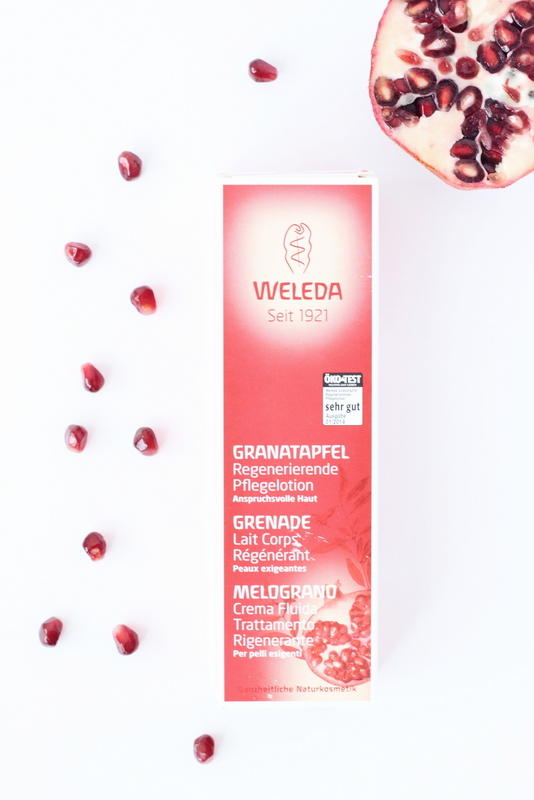 What I want to do, though, is to show how Weleda approaches its products and how it aims to bring the plant into the foreground. This is something I feel is getting lost in all the searches for chemical ingredients to use in cosmetics we see happening in beauty these days. Certified natural cosmetics are, of course, always based primarily on plants and their properties. But to look at plants not only in terms of their benefits but also in terms of how these fit into the human experience is unique to Weleda. Anthroposophy is then a holistic approach to all organisms, where one isn’t more or less important but rather connected through shared experiences. How inspiring for a brand to approach beauty and health from that perspective and to speak to the soul as well! Each range brings out the best of the plant it features. The plants are being sourced and harvested with the greatest care and the best method and time is chosen to process the plant. Because anthroposophy is very concerned with the relationship of the microcosm and the macrocosm, times of processing the plants are chosen based on a moon calendar. I have just recently started to read more about how the lunar cycle affects our mood and body and I find this approach fascinating. The more I read about this philosophy and school of medicine the more I want to know about it. 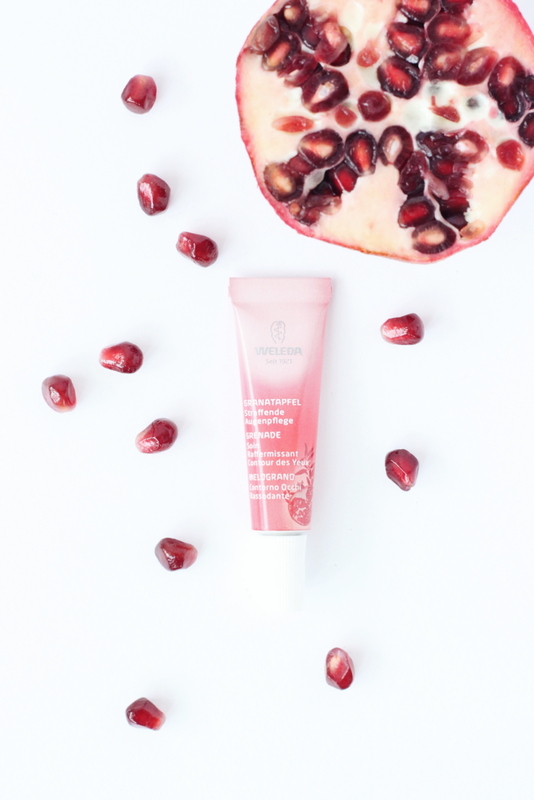 I am excited to start a regimen using the pomegranate skin care and will keep you posted on how I fare with them! 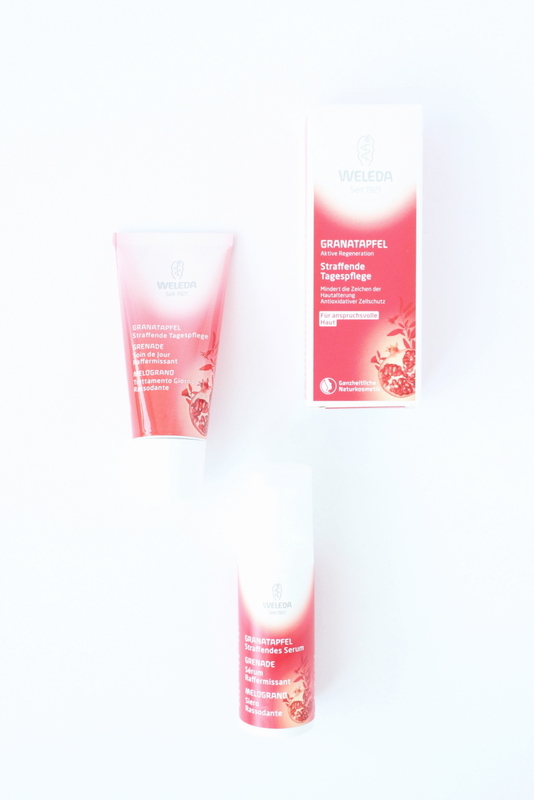 In the next post, I will shine a light on the certifications and labels that Weleda products come with. Please support me in the Global Garden Winner contest by voting for me here.